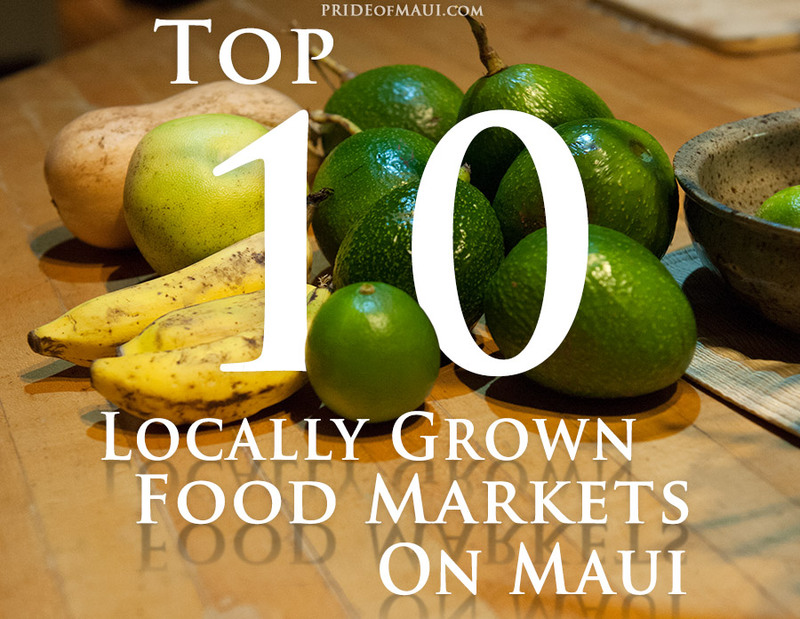 Aloha and Welcome to Pride of Maui’s Top 10 Locally Grown Food Markets on Maui article! There are so many reasons why the Island of Maui is referred to as No Ka Oi (the best). Not only is the Magic Isle overflowing with an abundance of amazing activities to do and sights to see, but it also has an amazing community of local farmers, ranchers, and food events. One of the coolest things about Maui is that it is actually a sustainable island. It is possible to eat only food grown on Maui when on Maui. On your next vacation in Hawaii, seek out locally grown foods at Maui farmers’ markets and local grocery stores. There is absolutely nothing in the world that compares to the richness that you will experience when tasting any of the 13+ varieties of avocado that grow on Maui or the locally grown organic fruits and vegetables. There are numerous seafood vendors, six Maui ranches that provide grass-fed meats to the public, and a host of privately owned foodie businesses that offer fresh herbs, jams, jarred delicacies, cheeses and gourmet food products. Check out any of Maui’s Top 10 Locally Grown Food Markets when on the island! Enjoy Maui like a resident by engaging in community events, visiting farmer’s markets, and shopping locally. We promise that this is truly one of the most awesome experiences on Maui and a great way to meet new people while learning all about Maui’s local food culture. A hui hou (until we meet again), e ‘ai kokau (let’s eat)! The Upcountry Farmers’ Market is the oldest living farmers’ market on Maui. For over 40 years, this weekly marketplace has been operating at various Upcountry locations, including St. Joseph’s Church and the Eddie Tam Gym in Makawao. This market is now located off of Highway 37 at the Kulamalu Town Center (near Long’s Drugs) every Saturday from 7am-11am. This is one of Maui’s favorite weekly farmers’ markets, perfectly set Upcountry with a cooler climate and gorgeous panoramic views. 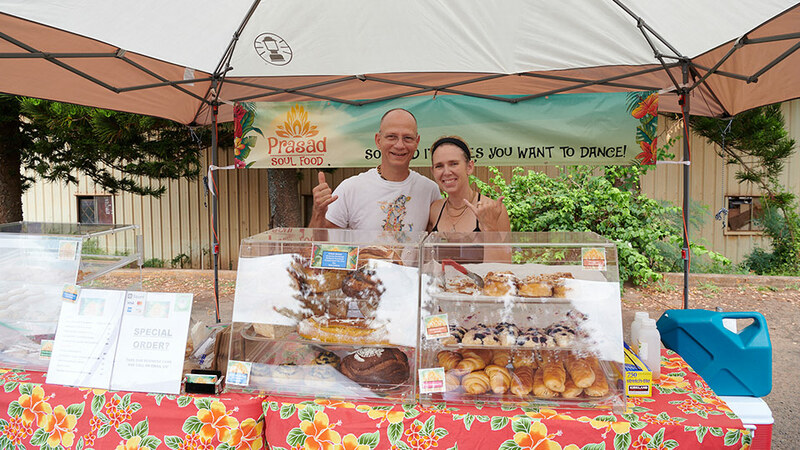 The diverse community of over 50 vendors that frequent this Maui market is what makes it unique to others. Here, you can find a variety of locally grown produce (some organic), fresh chilled coconuts, macadamia nuts, freshly caught seafood and fish, Maui-grown coffee, local honey, lilikoi (passion fruit) butter, juices, baked breads, tropical flowers, plants & trees, candles, local gifts, and much more. This market also showcases vendors that sell prepared foods, so market goers also have a chance to taste yummy raw and vegan foods, Thai and Indian selections, and a host of new offerings each week. For more information, please visit the Upcountry Farmers’ Market. The Maui Nui Farm in Kula is a 40-acre farm located on the slopes of Mt. Haleakala. Owned by a mother and son duo, this farm is famous for their produce, events, catering, and multi-weekly open farmers’ markets. Guests are invited to visit the Maui Nui Farmers’ Market every Thursday, Friday, Saturday and Sunday from 8am-5pm. Seasonal local available produce includes lettuce and greens, zucchini and squash varieties, bananas, papayas, strawberries, gold potatoes, avocados, and more. Maui Nui Farm also offers fresh island flowers such as protea, tuberose, gardenia, heliconia, water lilies, and orchids. Every first Saturday and Sunday of the month are “Family Days at Maui Nui Farm” from 8am-5pm. Guests can check out the local goods at the open farmers’ market, enjoy live music, taste Nui’s delicious Thai food, take a FREE Farm tour, and enjoy a 10% discount when you bring your own bag. For more information, please visit Maui Nui Farm. Kula Country Farms is a fourth generation, locally operated farm in Kula, Maui. At their produce stand, they provide customers with a variety of fresh fruits and vegetables, flowers, jams & jellies, and fresh baked goods. They are open Tuesday-Friday 10am-5pm, and Saturdays & Sundays 10am-4pm. Kula Country Farms also has two amazing annual events each year – the Pumpkin Patch and Christmas at the Farm. In late September, the farm opens a really fun ‘Pumpkin Patch’ with a variety of pumpkin and gourd sizes and shapes to choose from, a Maui-famous walk-through corn maze, and a host of great activities for families, kids, school field trips and larger groups. Opening at the beginning of December, guests are also invited to visit during the weekend for ‘Christmas at the Farm.’ For the holidays, Kula Country Farms festively decorates the produce stand and children’s garden and has a Santa and mini-reindeer for a fun, Hawaiian-style holiday photo opportunity. Kula Country Farms produce is also available at Costco, Safeway, Times Market, Whole Foods Market, and a variety of restaurants and local retailers throughout the State of Hawaii. For more information, please visit Kula Country Farms. La’akea is a 501(c)3 organization with a mission to “provide a residential community where youth and adults with disabilities can work, learn and live as part of a thriving ohana.” They are also a vocational community where autistic and intellectually/developmentally disabled (IDD) persons can live, work and thrive. This North Shore Maui non profit offers indoor day programs, craft studios, a community building for recreation and skills trainings, operates a Department of Health licensed group home, and manages three apartments that support IDD clients living independently in a loving and safe environment. Among all of their amazing contributions, La’akea also operates a 12-acre farm just minutes away from Historic Paia Town. The La’akea country store is a fantastic place to stop while visiting North Shore Maui locations and sites; Paia Town, Ho’okipa Beach Park, Makawao and more. It has grown to be a huge part of the North Shore community, with many supporters visiting on a daily basis to buy locally grown produce and fresh flowers at this North Shore Maui farmers market. Farm operations are managed by La’akea clients, their families, members and staff. If you’re near Paia Town, make a stop at the La’akea Farm to support this incredible program. If you’re looking for one of the most diverse farmer’s markets in Central Maui, visit the center courtyard of the Queen Ka’ahumanu Shopping Center every Tuesday, Wednesday and Friday between 8am-4pm. This is a great place for residents and visitors to find fresh, locally grown produce in Maui; vegetables, fruits, berries, melons, papaya, lychee, many types of banana, and an amazing selection of Maui grown avocados. In the morning hours, farmers market goers can also find fresh caught local fish and baked goods. There’s also a variety of gourmet foods to taste, local Maui honey and international food booths. Another great offering at this Maui farmers market is that there’s always a variety of plants and fresh cut flowers. In fact, there are a few local flower vendors that will make you a beautiful and unique tropical lei right in front of your eyes! For more information about the farmers market at Queen Ka’ahumanu Center in Kahului, please visit their website here. The Farmers’ Market of Maui in Honokowai has gained a reputation as being the best farmers’ market in West Maui. Here, residents and visitors can find locally grown organic fruits and vegetables, packaged and canned food items, baked goods, and numerous areas to sample local foods. This market is a vegetarian’s dream, so all non-meat eaters in West Maui should visit at least once in their life if not once a week. This locally-owned and family operated food market takes place daily from 7am-7pm. 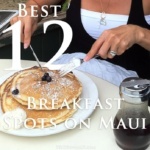 It is located at the Farmers’ Market Maui & Deli in Honokowai. For more information, please visit Farmers’ Market Maui in Honokowai. Held every Wednesday and Saturday from 8am-noon, all guests are invited to check out the Napili Farmers’ Market in West Maui. It is located at Honoapiilani Highway and Napilihau Street (near the Maui Preparatory Academy). This is a great West Maui outdoor farmers’ market for those looking for all-local produce, including Maui grown items, fruits and vegetables – mango, pineapple, bananas, Tahitian limes, coffee, locally grown herbs, smoothies, juices and more. For more information, please visit the Napili Farmers’ Market. The Lipoa Street Farmers’ Market is held every Saturday from 8:30 am-10:30 am at 95 Lipoa Street in Kihei, Maui. This South Maui farmers’ market can be more intimate in selections, so definitely show up early to pick up everything you need and a flower arrangement. At this Maui market, guests will find a world of unique locally grown items like beets, carrots, dragonfruit, mango, berries, delicious avocado varieties, fresh Wailea eggs, tomatoes, breadfruit, pineapple, corn, REALMaui™ Fruits & Produce, and tons of locally grown foods from other corners of the Island of Maui. For more information, please visit the Lipoa Street Farmers’ Market. The Hana Fresh Farm Stand is open Monday through Friday from 7am-3pm in front of the Hana Medical Center in Hana, Maui. On your next Road to Hana adventure, definitely, add this to your list of must-see stops. Here, guests will find a myriad of organic produce and rare herbs, Maui coffee, fresh smoothies and juices, and a breakfast and lunch menu. This is a great Maui market to support for many reasons, including their fabulous organically grown produce, as well as their local community projects. The Hana Fresh Farm is one of the few farms on Maui that grow gourmet, quality, certified organic Maui produce. They grow over 100 varieties of fruits, vegetables, herbs, traditional Hawaiian foods and medicinal crops. They also provide sustainable agri-business training and employment opportunities to East Maui district residents. 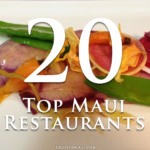 We appreciate everything they do for the residents of Maui and encourage you to shop (and eat) local on your next trip to Maui. Hana Fresh Farm produces can also be found at Mana Foods in Maui, Hawaii Whole Foods Market locations, R.Field, select Foodland Stores, and a variety of restaurants on Maui. For more information, please visit Hana Fresh Farms & Hana Fresh Farm Stand. Ono Organic Farms is a locally owned and family-operated organic farm in East Maui, Hana. 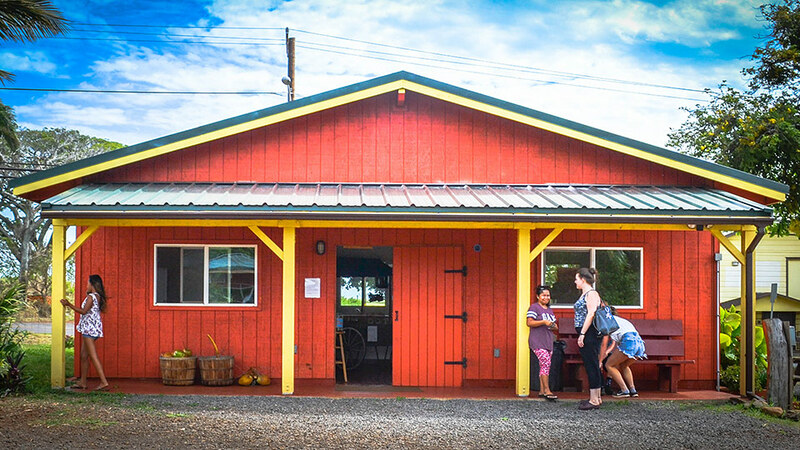 Seven days a week between 10am-6pm, guests are invited to visit their roadside market in Hana (located next to the gas station). This is a great market for those venturing to Hana and looking to learn more about organic farming on Maui. Ono Organic Farms also offers an organic tropical fruit tasting and farm tour. For more information, please visit Ono Organic Farms. Launiupoko Farmers’ Market: Saturdays, 8am-12pm, Corner of Kai Hele Ku and Honoapiilani Highway before Lahaina (at stoplight). 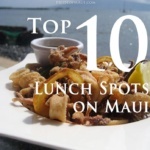 Mahalo Nui Loa for reading Pride of Maui’s Top 10 Locally Grown Food Markets on Maui article! We absolutely love sharing the most current local knowledge with our readers. Besides all the deliciously amazing avocados on Maui, what are your favorite Maui farmers’ market finds? We love to hear your feedback! Please share this article with your friends and leave your comments below.